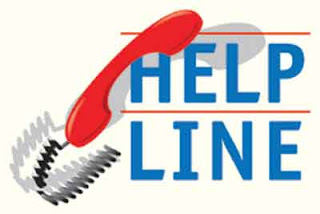 Bangalore, Aug 24 : About 50 civil society organisations joined hands to form a Peace and Solidarity Forum and set up two helplines for assisting people from the northeast living here feel secure and address their welfare issues, an activist said Thursday. "The Forum has been formed to prevent a repeat of the fear psychosis that last week forced about 30,000 people from the northeast flee the city and disturbed the social harmony that is a hallmark of this cosmopolitan city," Forum coordinator Manohar Elavarthi told IANS here. The forum has set up a 24x7 help-line desk with two mobile numbers - 98459-67545 and 94823-96178 to counsel and advise northeast people, especially students, on living in the city or anywhere across the state safely. According to the state welfare department, about 250,000 people from the seven northeast states live in the city, with majority of them as students, or employees in the IT industry, hospitality sector, security agencies and beauty parlours. "The forum will also involve about 20 associations of northeast people from Assam, Arunachal Pradesh, Meghalaya, Manipur, Mizoram, Nagaland and Tripura to help them in addressing their social concerns and grievances so that they could live in the city like any other citizen," Manohar asserted. Admitting that many northeast people face identity and social problems due to socio-cultural and language barriers, Manohar said the civil society has come forward to prevent any discrimination by others or harassment by their employers, house owners and even police. "Northeast citizens residing in Bangalore should inform the forum members through the helplines about their problems or difficulties in leading a peaceful and normal life. They can also complain to us of any discrimination or harassment they face from anyone, including employers, landlords and anti-social elements," he added. The forum will also help the northeast people in seeking protection from police and speedy disposal of their complaints registered with the local police station. "We have printed about 5,000 handbills with the helpline numbers and names of members to spread awareness of the forum and its objective. The aggrieved can contact us any time to help them resolve their social issues," Manohar added.